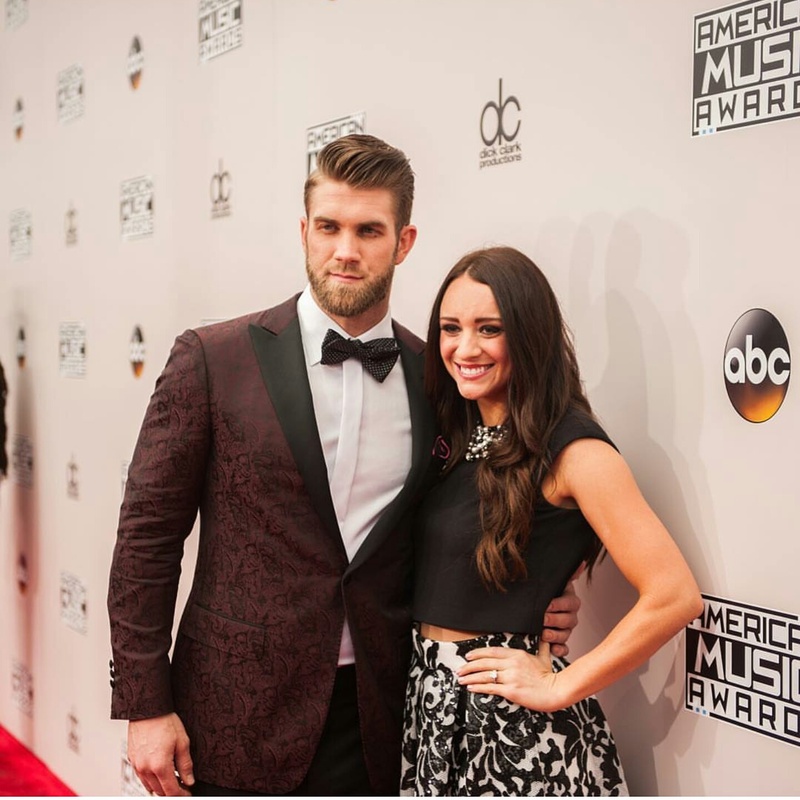 MLB Star Bryce Harper was spied at the 2016 AMAs American Music Awards in Los Angeles. The Nationals outfielder looked suave as he arrived on the red carpet with his fiancee Kayla Varner and presented Zayn Malik the award for Best New Artist Of The Year alongside recording artist Teyanna Taylor. For the prestigious event, Bryce donned a custom tuxedo by “Stitched Life,” his go-to clothier. According to Bryce, it only took him 20 minutes to get ready for the show. View footage below as he spoke about his wardrobe with red carpet host Jeannie Mai.